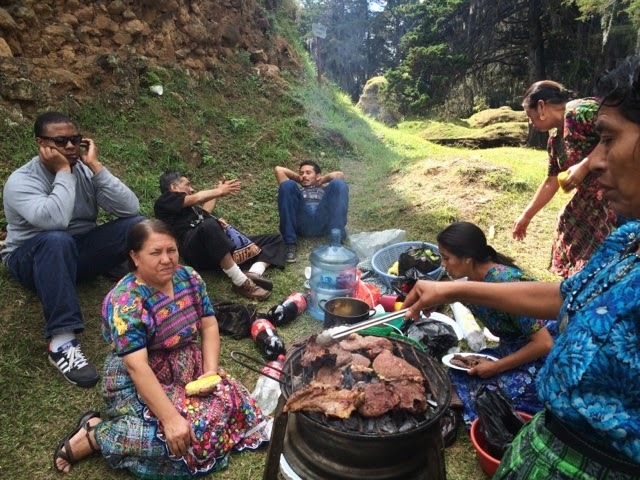 Excerpts from a delegation blog by Elisabeth Grunert from Christ Episcopal Church, linked with San Andrés Itzapa Episcopal Community in Guatemala. Writing a daily or periodic blog during a delegation can be a great way to share the experience with family, friends and other members of your church. Please excuse the silence! 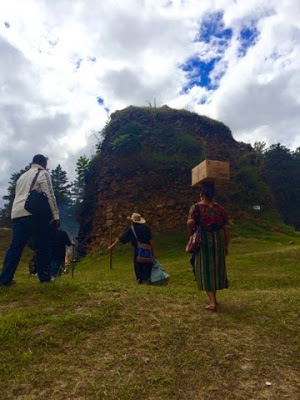 I am returning from a period of recovering and reflecting following a one-week trip to Guatemala. From January 10-17, a delegation from my church paid a long overdue visit to our church’s sister parish. Thursday was a peak, in more way than one. 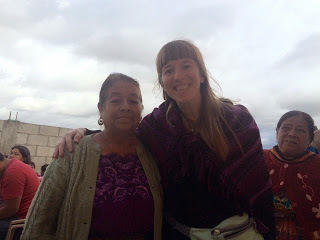 For one thing, we traveled to a part of Guatemala that, at about 7,000 feet above sea level, was higher than either Ciudad Guatemala or San Andres Itzapa. For another, the day was one of majestic beauty and awe that seemed to unfold further all day. I have no pictures of the actual Mayan ceremony that we did at the ruins. It was far, far too holy. I mean, I don’t usually take pictures of church, either. Don Otto communed with the ancestors and felt their approval of the spot he chose. …We acknowledged the ruling ancestor of the day: the eagle. Which, Don Otto noted, was a symbol for the United States, so he felt the ancestors’ especial welcome of his American guests. We offered strings to the fire for relationships, multi-colored candles to honor the diversity of nature, etc. We offered to the fire things for which we wished to be forgiven, and we again remembered (and greeted) our dead by giving their names to the fire. I remember him talking about the dead, specifically (at that moment), those that had been killed in the violence of a few decades past, and proclaiming that they are more powerful now than they were when they were alive, that they are in the air, in the water, that their blood is in the earth. I remember feeling very, very, watched. In a good way. We were also told, with conviction, that the ancestors would watch over our return home. We would arrive safely. I hadn’t realized I was nervous about it until I sighed with relief, then. After the ceremony, we were both tired and very, very calm. And when the women handed us grill-cooked corn on the cob, we realized we were powerfully hungry! …If Thursday was a spiritual high, Friday was an emotional one. We had one more morning with our host families on Friday, and then all gathered again in Basilia and Otto’s courtyard…What a blessing the children were to us! We usually think of adults as the ones to offer services to children, and of children as being in need of our help. But this week reminded us of how much adults need children. We need their beauty, their joy in learning, their joy in teaching, their sense of fun and humor even at serious times, and their laughter! 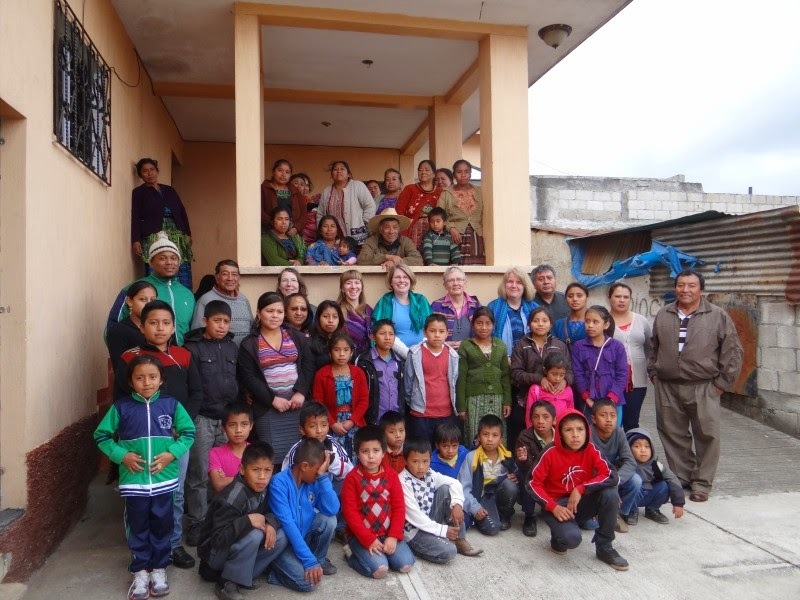 I am so grateful for the children of San Andres Itzapa. 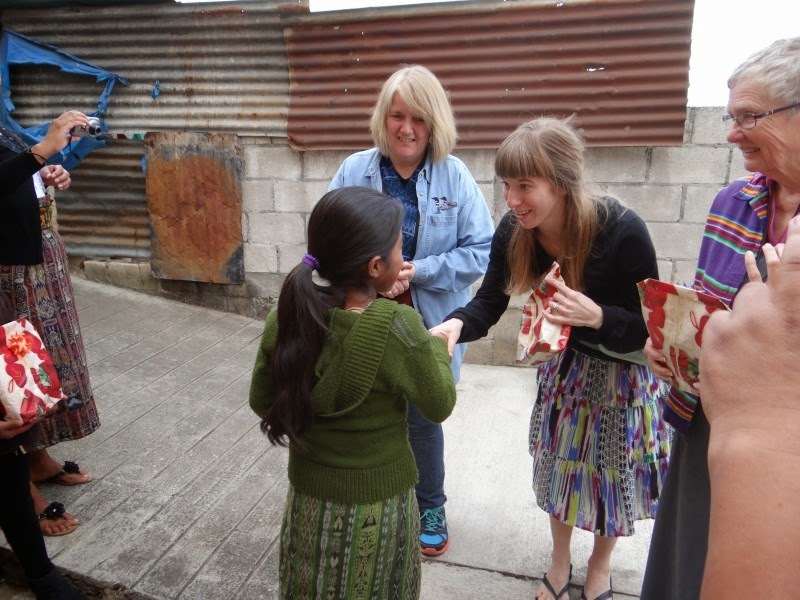 This Sunday when I teach Children’s Chapel at church, I’m going to be telling the kids about the brothers and sisters they have in Guatemala and trying to establish a pen-pal relationship. This sister church relationship will depend on children in many ways. In the morning, the youngest girl, Keli, asked me to braid her hair, the way she’d seen me braid mine all week. She had a lot of gorgeous hair, so it took me a while. She wore it to school. From a 13 year old, that’s a compliment. I felt so proud! After a lovely lunch, we walked down to church. I remember the walk clearly. It was a long downhill to church….The mass we had that morning will go down as one of the most memorable services of my life. This is church, guys. There were men, women, children, babies through teenagers. We used the Libro de Oracion Comun (Book of Common Prayer) and so, despite our varying levels of Spanish ability, we were all able to participate and know precisely what we were saying. There were some cool differences, though. Instead of “Therefore, let us keep the feast,” they say, “Celebramos la fiesta!” Different connotation, eh? We loved saying that. 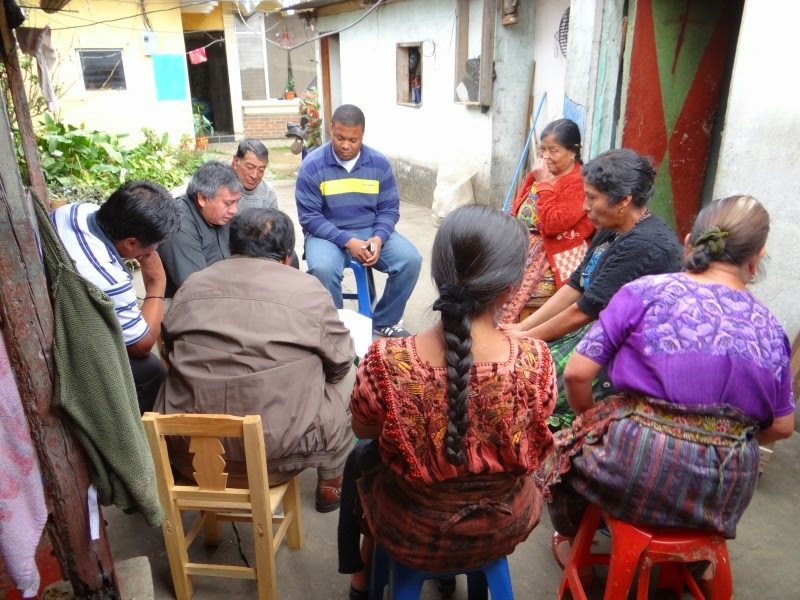 The prayers and hymns were in Spanish, but Padre Miguel asked that we do the scripture readings in English. I got to read the gospel! If you belong to a liturgical church, you know what an honor this is. The gospel reading was the calling of Nathaniel. “I tell you the truth: you will see greater things than this.” On point. We also sang (amateur choir though we are) some songs for the service. Ready? We sang “Seek Ye First The Kingdom of God,” “De Colores,” “Amazing Grace,” and a very energetic “This Little Light of Mine.” It was a blast. We were so happy, and so distraught to be leaving, both at once. I wished for the whole congregation of my home church to be here to see our brothers and sisters, and to know the transformation that this relationship has brought our delegation. We have a few opportunities coming up on February 22nd, and at another event after Easter, to try to convey our experiences and our hopes for the program as we move forward. Keep us in your thoughts, please! We want to be good ambassadors. We want so much to rejuvenate this program, to make the congregation know what a treasure this relationship can be. 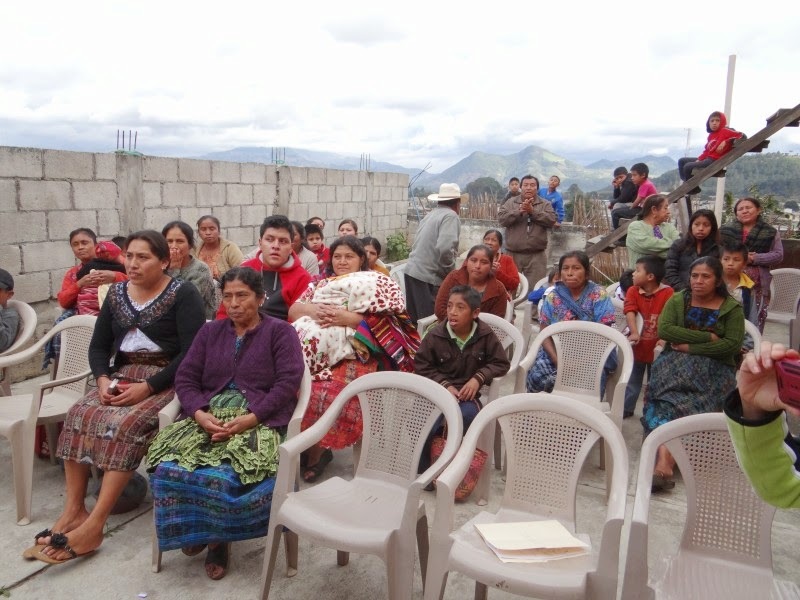 We have high hopes of bringing a delegation from Guatemala up to the states as soon as we can muster the funds. And up there, [in Guarmaarcaaj and San Andrés Itzapa], at what felt like the top of the world, all things felt possible. This entry was posted in Delegations, General, Guatemala, North to South and tagged blacksburg, delegate reflections, north to south, san andres itzapa. Bookmark the permalink.